Micro-laser peeling is a peeling application performed using a FDA-approved advanced laser device. Its major advantage is not causing thermal injury. So duration for recovery is shortened and a smooth, natural and shiny skin can be obtained. 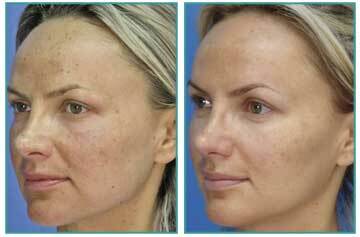 Micro-laser peeling enables to peel epidermis and turning the deformed skin to a smooth skin. While micro-laser peeling system may treat all facial wrinkles through skin rejuvenation, it is the most effective method for treatment of smoking and sunlight-related wrinkles in upper and lower lips. How is micro-laser peeling applied? Type, quality and the fields that need treatment are determined after skin examination. The patient is given detailed information about the procedure. The patient should not apply sun protection and avoid from sun exposure before micro-laser peeling. The skin care products recommended by your doctor may be used. Analgesic creams may be used in patients who are sensitive to pain. 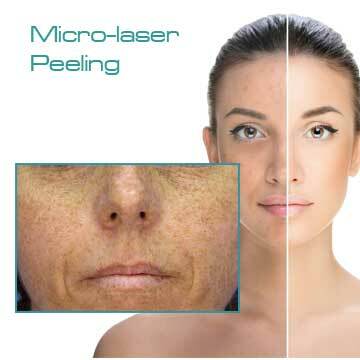 Micro-laser peeling begins with peeling skin surface with low dose rays. Deep peeling may be done depending on skin and region. How long does micro-laser peeling take? The sessions take 30-60 min depending on skin and region, continue with 2-3 week of intervals, and for 3-5 sessions. Micro-laser peeling skin care products and protectors may be used between sessions. Spot-protection creams may be required. What are the fields of use?